﻿ Cypress Inn on Miramar Beach, San Francisco (CA) | FROM $279 - SAVE ON AGODA! Have a question for Cypress Inn on Miramar Beach? 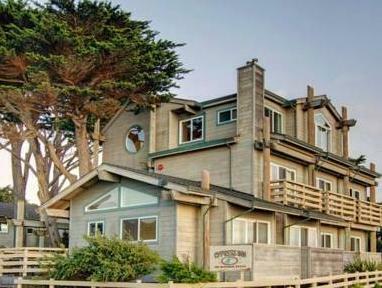 Showcasing ocean views, this oceanfront Half Moon Bay guest accommodation is 5 minutes’ drive from Pillar Point Harbor. All rooms boast a fireplace. A breakfast including quiche or pancakes is served daily. Featuring luxury toiletries, a bathrobe and heated terracotta floors, each room at Cypress Inn on Miramar Beach offers a featherbed. Free Wi-Fi and a flat-screen TV with satellite TV are included. Before heading to the beach, guests can enjoy breakfast in the privacy of their room. A hot dish, baked goods as well as juice, tea and coffee are provided. Wine and appetizers are served every evening. Cypress Inn on Miramar Beach Half Moon Bay is 30 minutes’ drive from Ano Nuevo State Park. Offering a variety of seafood and a variety of cocktails, Miramar Beach Restaurant is just steps away. Please note: A pre-payment deposit is required to secure your reservation. This deposit will be charged to the credit card provided at the time the reservation is received by the property. Guests are required to show a photo identification and credit card upon check-in. Please note that all Special Requests are subject to availability and additional charges may apply. Nous avons adoré notre séjour au Cypress Inn, une soirée parfaite, l'hôtel avec vue sur la mer, les chambres très confortables avec jacuzzi, le personnel agréable, un restaurant à proximité avec buffet de sushi et autres mets japonais à volonté pour un prix dérisoire, tout était exceptionnel!